This extended winter weather of ours may delay the annual hot-to-iced changeover that all true java lovers look forward to each spring, but coffee is one thing that never goes out of style, no matter the season or time of day. In fact, as the years go on, and the artisanal/craft/locavore/whatever-you-call-it movement continues to spread, coffee only gets more fashionable —more flavorful, creative, specialized, and sought after. We all have our favorite local places to get our caffeine fix. But, when it comes to serious brew, a few cities stand head and shoulders above the rest. We based our list of the best U.S. cities for coffee lovers on two criteria: 1) How many coffee shops each city has (data courtesy of Mint.com, unless otherwise noted) and 2) the creativity of each city’s coffee offerings (what types of newfangled roasting/brewing processes do they use? what kind of MoMa-worthy foam art do they create? how much non-literal sweat goes into their product?). In addition to well-known java spots such as Portland and Seattle, we came up with a few places that might surprise you. Here are the 10 best cities for coffee in the U.S. Together with Hawaii (see below), Alaska proves that the continental U.S. doesn’t have a monopoly on good coffee. We imagine caffeine takes on a special importance in Sarah Palin’s home state, where freezing temperatures and the circadian-rhythm-jumbling “midnight sun” can make life extra difficult. Chief among many local favorites is Kaladi Brothers, which operates several shops and wholesale outlets throughout the region. Until BuzzFeed publishes a list of “37 Potato-and-Coffee Combinations That Are Actually Delicious,” I will never understand why the capital of Idaho (itself the capital of potato farming) also happens to be a mini coffee connoisseur’s paradise. And yet, this: With nearly 150 coffee shops, many of them artisanal enough to hang with the big boys in Portland and S.F., this quaint and unassuming-seeming city engages in “Treat. Yo. Self”-level indulgence when it comes to coffee. Hawaii is the only state in the U.S. that grows its own coffee beans, and, according to Travel + Leisure, the “acidic volcanic soil gives the local Kona coffee its special flavor.” For coffee connoisseurs seeking to drink directly from the source whilst never having to pull out a passport, Honolulu is a must-visit. At times Sacramento seems like a state capital and nothing else, sidelined as it is by flashier cities to the north (San Francisco) and south (LA, San Diego). But coffee, ever the salve for feelings of mediocrity, seems to have become a specialty of the area, and the city, together with neighboring Stockton and Modesto, now sports more than 500 coffee shops. Top choices include Temple Coffee, which prides itself on making “friends throughout the supply chain” to a deliver a “Farm to Cup” experience, and Insight Coffee, which serves carefully roasted brews alongside doughnuts from nearby gourmet Doughbot. Coffee seems as vital to the functioning and general happiness of tech entrepreneurs as it is to that of college students and musicians — the three groups that just so happen to be the main drivers of Austin’s burgeoning (or, let’s be honest, already burgeoned plenty) indie culture. In addition to cafes such as Curvee Coffee and Houndstooth, a “multi-method and multi-roaster” which serves a variety of “guest” roaster brews, the city also boasts resto-cafes like Frank Restaurant, which combines elegant brew with that other fine Texas delicacy: meat. Coffee on the beach: It's a tantalizing fantasy for anyone still waiting out the end of winter on the East Coast, but for the residents of San Diego, it's a daily reality. They have the beaches — there are arguably none more beautiful in the U.S. — and they have the coffee. Of the city's more than 450 coffee shops, the 1920s-inspired Cafe Bassam and The Swell Café (née Cafe Mono), which specializes in “foam art,” stand out. Coffee pairs well with nature (does not every commercial for coffee include shots of the Great Outdoors? ), which may explain why mountainous Denver has such a robust caffeine culture. With more than 700 coffee shops in the region, the Mile High City caters to both fanatics and lay drinkers alike. For the latest and greatest in pour-over, check out Black Eye; for swanky latte art, Happy Coffee. Must Portland have it all? The best beer, music scene, natural surroundings, one of the best comedies on TV, and some of the best coffee in the country? Multi-roaster Barista, Clive Coffee (a coffee gear showroom and micro-roaster), and Christopher David, a coffee-shop-florist-shop mash-up, are just some of the quirky yet thoroughly java-committed spots that have made one Portland one of the most renowned coffee destinations on the globe. When you land in the Seattle/Tacoma region of Washington, you know you’ve hit the coffee-lover motherlode. In addition to being the birthplace of Starbucks, the Pacific Northwest city is also home to several independent roasters, many of whom practice fair and/or direct trade. 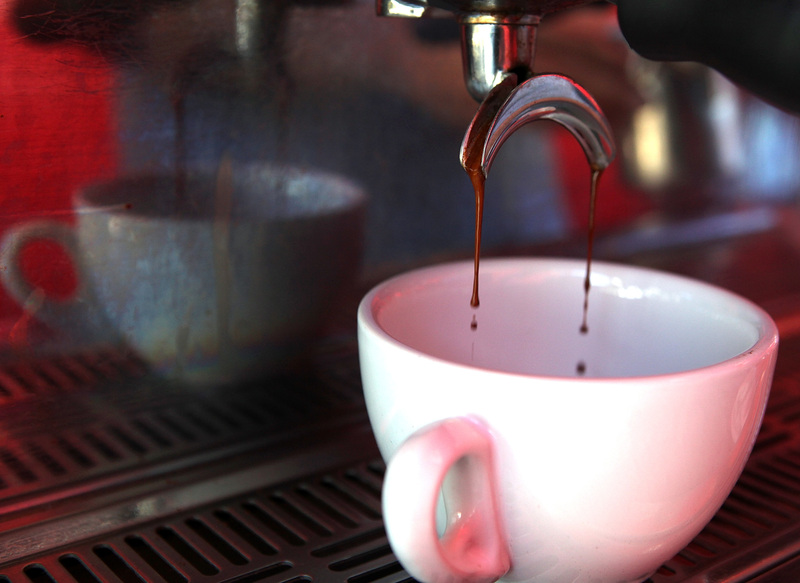 Caffé Vita is a local favorite, with nine locations in the region and a nearly 20-year history, while Madrona Coffee in Tacoma offers an espresso (“Ellie’s Gold”) that was ranked in the top eight in the America’s Best Espresso Competition. A city that never sleeps is also a city that drinks a lot of coffee, and New York may just be the Mecca of caffeine. Daily Coffee News reports that, as of 2013, the city had some 1,700 coffee vendors. What’s more: 57 percent of those (972) are “single-location or small chain shops,” i.e., not Starbucks or Dunkin Donuts. This means the city’s indie coffee spots — including artisanal java institutions like Blue Bottle and Gorilla — are officially beating out their corporate-franchise counterparts, giving NYC a big boost in the creativity ratings. Can you guess which neighborhood in the five boroughs has the most coffee shops? No, it’s not Williamsburg or Bushwick, though those were my first and second guesses, too. With 49 locations, the East Village in Manhattan still reigns NYC's supreme caffeinator.